asks whether the Bible really is such a good, ethically valuable book, as the Churches always claim, or whether the God of the Old Testament is not rather an irascible war god while the New Testament announces the destruction of all unbelievers at the end times: “He that believeth and is baptized shall be saved; but he that believeth not shall be damned” (Mark 16: 16). The book also asks whether the Churches are right to invoke that Jesus of Nazareth whom they announce as the Son of God. After all, academic research has long established that the real Jesus was very different and had almost nothing in common with the Jesus of the Churches. Christianity has been driving through history without a driver’s licence. 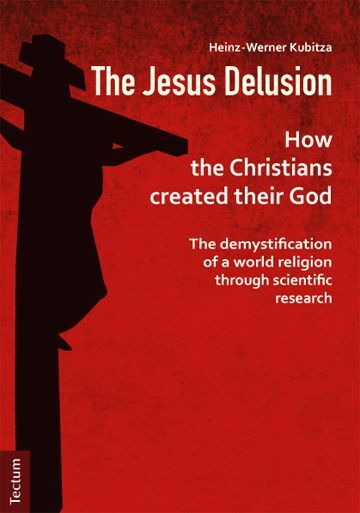 This book is addressed both to believers who do not shy away from confronting uncomfortable facts, and to those people who have nothing to do with the Church and who have always suspected that something in Christianity is not quite right.